In this first official post of Horror Sequels month, I need to start with a caveat: The Nun (still in theaters) is actually a prequel, part of “The Conjuring Universe.” The Conjuring was the first film in this series about a husband and wife team of exorcists who help a family dealing with a house possessed. 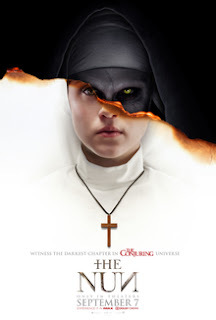 The Nun is the fifth film in this series that has consistently presented a fairly positive view of the Roman Catholic Church. The Nun is actually a spinoff of the second film (The Conjuring II) which briefly featured the frightening title character. The story of The Nun mostly takes place in Romania,1952, in the Abbey of St. Carta. The film opens with nuns journeying down a long hallway in the abbey, approaching a door with a sign in Latin that reads “God Ends Here.” They have a relic that opens the door, but a mysterious figure attacks them. 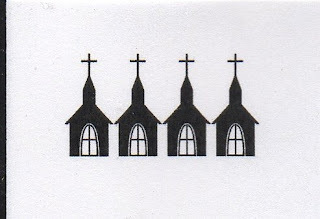 One nun is killed, the other commits suicide. The Vatican decides to send Father Burke (Demian Bichir), a specialist in investigating miracles and the supernatural, and a young novice, Sister Irene (Taisse Farmiga, sister of Vera Farmiga who starred in the first film of the series). We first see Sister Irene teaching a group of children using a dinosaur toy. She tells the students that the dinos lived millions of years ago. The Mother Superior interrupts the lesson to say that there were no such thing as dinosaurs; God put the bones in the ground of these imaginary creatures to test our faith. The odd thing about this is the Catholic Church has long been supportive of the idea of an old earth, even of evolution of the human race. Even young earth apologists don’t doubt the existence of dinosaurs; they just believe they existed alongside humans and are discussed in the book of Job. A first it seems puzzling that an experienced Vatican investigator like Father Burke is asked to mentor a young woman like Sister Irene, but we learn that she has a gift of visions -- a special connection to the afterlife. A young man named Frenchie, the man who found the nun who committed suicide, directs Burke and Irene to the seemingly deserted abbey. When they meet the Abbess, she tells them that the other nuns are honoring a time of prayer and silence through the night, but that they are welcome to spend the night in an attached building. That night, both Frenchie and Burke are attacked by demons. Frenchie makes his way back to the village, but Burke finds himself in the awkward position of being buried alive by demonic forces. He is rescued by Irene and her visions. We learn that the abbey was built on a hellmouth -- and if we know anything about real estate in horror films, it’s location, location, location. Sister Irene is the only one who can enter the cloistered sanctuary to meet with the nuns who must pray at all times, “24/7” (as they didn’t say back in 1952). This is all very strange considering Catholic theology, which teaches that priests daily handle the blood of Christ during the Mass. If they wanted more of the blood of Christ, it seems Frenchie could just go back to the village and bring back some wine to be transformed for Communion. Sister Irene and Father Burke are willing to fight, even give up their lives, to stop evil that threatens the world, so we’ll give two separate Movie Church ratings. 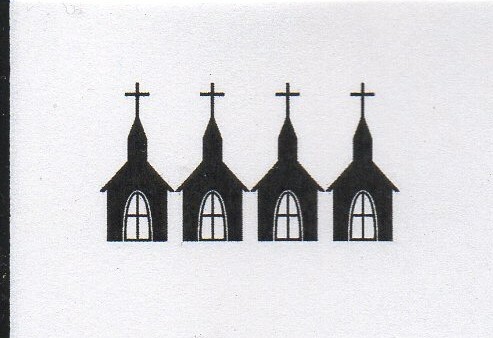 The Abbey of St. Carta gets our lowest rating of 1 Steeple for being the hellish location of suicide and murder, but Father Burke and Sister Irene receive our highest rating of 4 Steeples.